"Our voice, their vision, An initiative towards inclusion"
To cater the learning needs of visually impaired children students of St. Edmund’s School, Jawahar Nagar, made an audiobook of Political Science for Classes IX and X (NCERT based textbook)for visually impaired children which were presented at the festival organized at City Palace on World Disability Day. 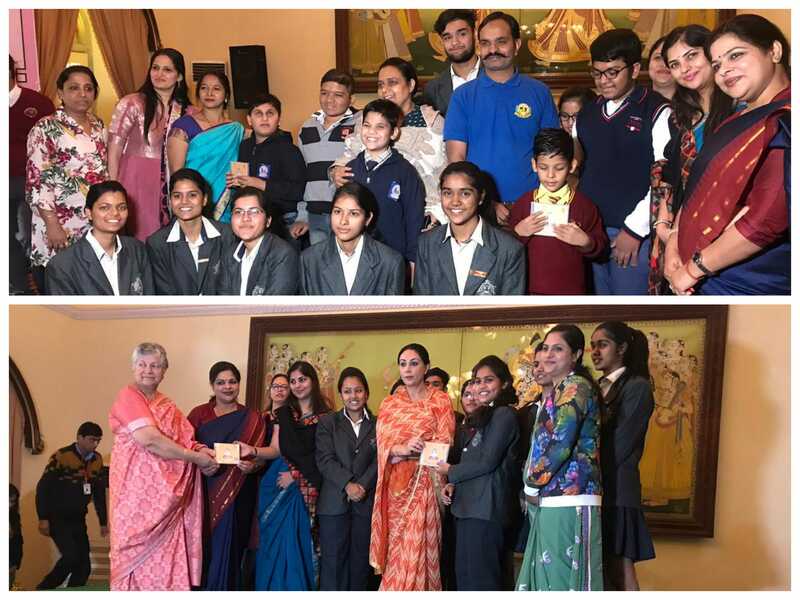 Joint director and mentor Dr Pooja Singh, and School Principal Anu Bhatia along with Mrs Pallavi Bhagchandani and Mrs Poonam Singh who guided the students have attended the function with the students of class 9th and 10th (Tanish katta, Shubham Krishnawat, Nidhi Meena, Kanishka Aswal, Dixita Jaiswal and Pari Jain). During the launch of Audio Books, MLA Diya Kumari praised the participating schools and said that these types of efforts will help the visually impaired children to study.